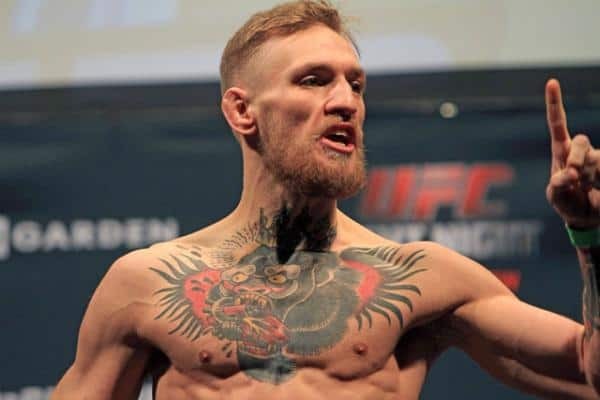 UFC featherweight contender Conor McGregor has stormed the MMA scene since joining the UFC. 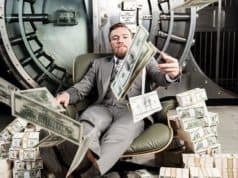 Just five wins in to his UFC tenure, ‘The Notorious’ is already the hottest property in the featherweight division, breaking records left, right and centre with fan pleasing style in the octagon and antics outside it. Now a title shot at UFC 189 awaits him, as does his rival and champion Jose Aldo. The haters surface. I simply choose to leave the bitterness behind. As I said before I will wipe away the tears with my money. “At 26 years of age I hold every record in my game. Highest gates. Highest viewing figures. And on July 11th, highest PPV numbers in the UFC. At 26 years of age, I own my game. 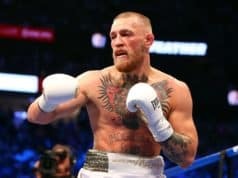 I hold the record for the biggest Vegas gate in the UFC, a bigger gate than Floyd Mayweather drew for his comeback fight against Juan Manuel Marquez in 2009. And he was in his prime, 40 and zero at the time. Floyd and Manny fought recently for a purse of over $200million. I am aiming high. And when I take aim, I hit the target every time. The sky is the limit for me and I know it. And I will let it be known every chance I get. I never stop. There is energy in motion. I step into the octagon to destroy Jose Aldo on July 11. To take what is mine. What people don’t understand is that I’ve been in training camp since I was eight years of age, preparing for this moment for 18 years. And now it is time to reap the benefits. It is my time. I can feel it out here under the desert sky. Vegas is a beautiful place: great weather, we have our own private gyms set up for my team from Ireland, ideal for training. The circle is small but the results are huge. We’ve taken over a seven-bedroom mansion and I already feel like the richest man on the planet. 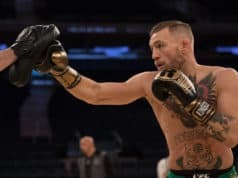 We’ll see come July 11th whether or not Conor McGregor is a walker or a talker, as we know that Jose Aldo will bring his A-game. It’ll either be a Brazilian beatdown, or an Irish revolution in Las Vegas at UFC 189, which side are you backing?